You are seeing for the first time here the real nature of Revelation, the real nature and purpose of a true Messenger in the world. You are seeing here for the first time how God gives great Messages into the world to serve the world at that time and for the times to come and how the successive Messages given over a long period of time have built upon each other and met new and changing conditions. You are seeing for the first time here how God works in the world beyond the stories from the past, beyond the proclamations and the traditions, whether they be true or false. You are seeing the nature of Revelation. This is important to see because if the process of Revelation is not understood, the Revelation itself will not be understood. If the burden of the Messenger is not recognized, then the Messenger will not be recognized. Should you not recognize the Messenger, it will be to your great disadvantage, for he brings with him an awareness and a preparation for the great dangers facing humanity and great opportunities for human unity and cooperation. He brings with him the blessings of purpose and integrity in one’s individual life and the meaning of relationships at a higher, more complete level. He brings with him a promise of humanity’s future within a Greater Community of intelligent life in the Universe and what humanity will have to do to face a world of declining resources and growing human conflict. The Messenger has brought the Message. It is in a form that people can read. It is not some later interpretation. It is not something that has been kept secret by hidden parties or inner circles alone. It has been given to the people during the process of Revelation itself. This has never been done before. Passage from The Message and The Messenger. 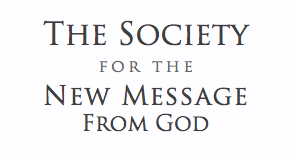 Join the Free School to deepen your experience of The New Message from God and the Messenger’s mission in the world.